M&A is focused on providing specialized advisory services to middle-market firms in the Information technology and business services sectors. Marlin & Associates asked us to create a dynamic platform which would generate monthly e-newsletters to their global clients by consuming market data feeds and in-house analytics. 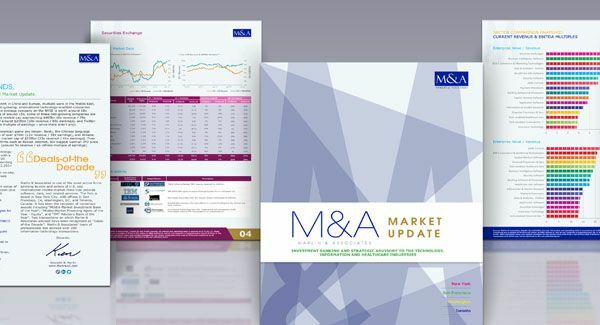 To automate an insightful and visually astounding e-newsletter that contains a large volume of data, we collaborated hand-in-hand with M&A to innovate this key communication channel. We re-engineered the product system to embed qualitative intelligence in the financial markets covered by M&A. This platform centric innovation project transformed a previously highly manual production to create economic insight for their clients.